Putting an end to all speculations, Xiaomi today finally lifted the veil off its flagship Mi 8 smartphone and it looks absolutely stunning. The device sports an iPhone X-style notch and Mi Mix 2S-like dual-camera setup on the rear. It has been priced starting at 2,699 yuan and will go on sale starting. Falling in line with the rumors, the Mi 8 sports a 6.21-inch Full-HD+ AMOLED display with an odd 18.7:9 aspect ratio and 88.5 percent screen-to-body ratio. 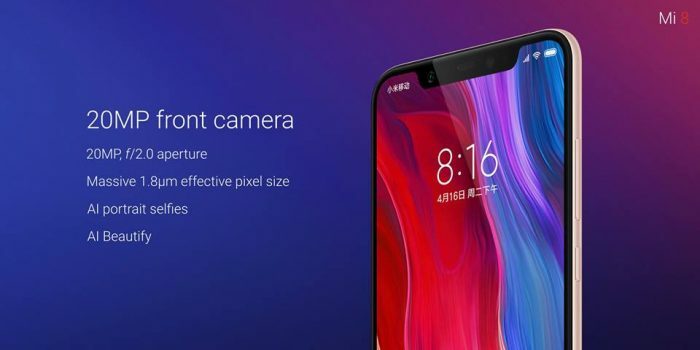 As you can see in images attached below, the Mi 8 has a notch up-top and a considerable chin as well. 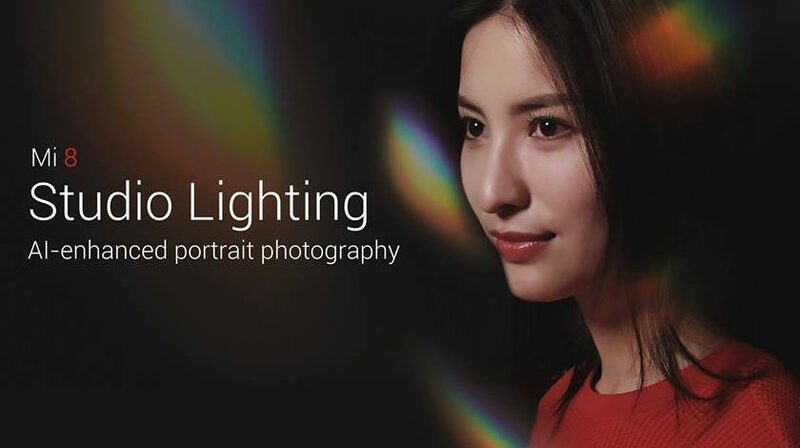 The display offers you up to 600 nits of brightness, Xiaomi claims. 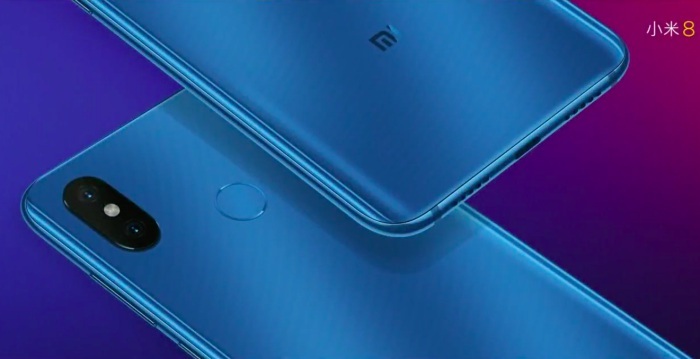 The Mi 8 is the successor of the Mi 6 from last year and has been named so to mark the company’s 8th anniversary. The device has a gorgeous 2.5D curved glass design on the rear of the device, which is supplemented by the dual camera module on the back, and fingerprint scanner at the center. The device is powered by the Snapdragon 845 SoC, coupled with two RAM – 6GB or 8GB and three storage – 64GB, 128GB or 256GB configurations. And what’s even impressive (for users who care for numbers) is the fact that Mi 8 has crossed the 3 lakh mark to get the highest AnTuTu score among all Snapdragon 845-powered devices. 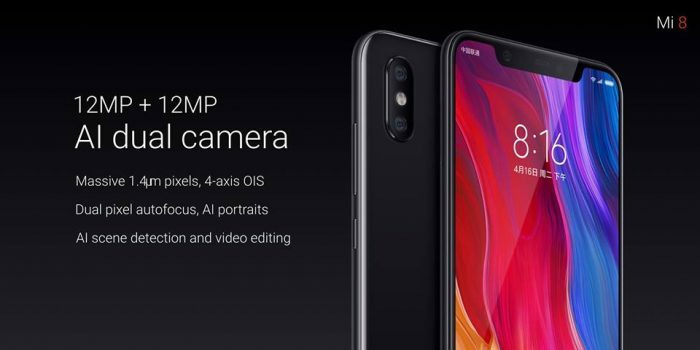 The Mi 8 features a dual 12MP+12MP camera setup on the rear. The primary camera is a 12MP lens with a f/1.8 aperture while the secondary camera is also a 12MP sensor but with a f/2.4 aperture. The rear camera has a large 1.4-micron pixel size, which would let in more light and allow you to capture better photos in low-light conditions. The dual-rear camera setup is backed by AI and can help you recognize close to 206 objects in 25 categories. The device will also adjust the brightness, contrast, and colors based on the scene it recognizes. It also has the infamous portrait mode and introduces a new ‘Studio Lighting’ feature that’s quite similar to the same feature found on the iPhone 8 Plus and iPhone X. On the other hand, the 20MP front camera sits in the notch on the front and has a f/2.0 aperture and massive 1.8-micron pixel size. This is topped off by the beautify and portrait modes. When talking about the notch, there’s a reason that it is so bigger than the notch on other notch-ed Android phones. The notch also includes the hardware necessary to make facial recognition more robust and secure than those that work using simply the front camera. 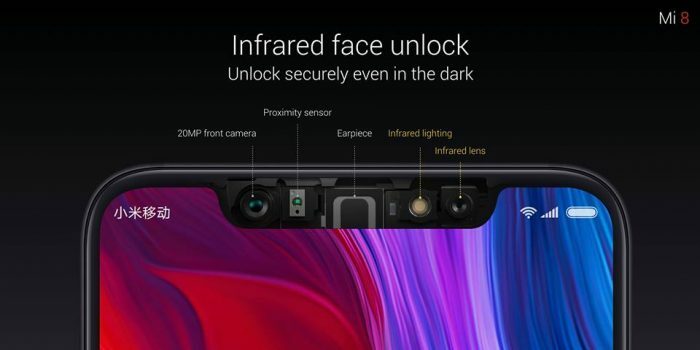 The earpiece, front camera, and proximity sensor are seen in every phone, but the Mi 8 has an infrared light and infrared lens in the notch as well. This will enable the user to register their face and unlock their device, even in the dark. The IR light+lens combo is going to make it possible for the Mi 8 to unlock the phone in low-light conditions. The Mi 8 will be powered by Android 8.1 Oreo out-of-the-box, with their new MIUI 10 skin on top. It will now include the company’s own Xiao AI voice assistant (likely only in China), along with some improved connectivity features. The device is the first to have a dual-frequency GPS for more accurate tracking, as well as multi-function NFC that can help you pay for stuff and grab a metro as well. 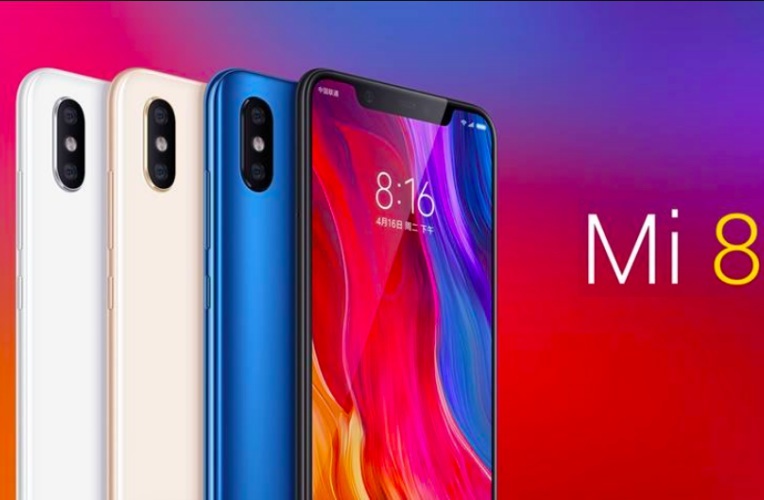 The Mi 8 flagship comes in three configurations, with the 6GB RAM and 64GB storage variant starting at 2,699 yuan. The 6GB + 128GB and 6GB + 256GB variants of Mi 8 are priced at 2,999 yuan and 3,299 yuan respectively. The device comes in four colours, namely blue, gold, white and black, where the latter two will be up for pre-order on June 4th itself. 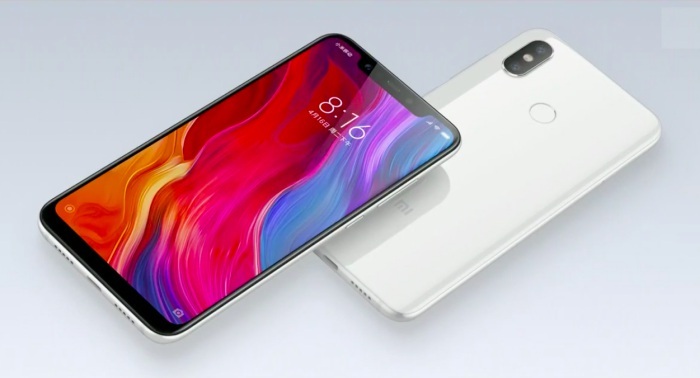 So, how do you like the Mi 8? Let us know in the comments below.